Most people want to be comfortable with their decisions. One of the two ways we process information to make decisions is our intuition, or gut feeling. 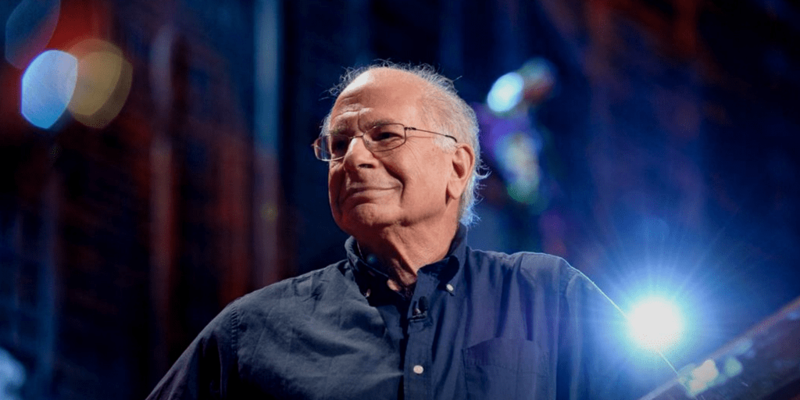 Nobel Prize winner and co-founder of the field of behavioral finance, Daniel Kahneman, has written a book entitled Thinking Fast and Slow in which our intuition is described as thinking fast. Some may view it as not thinking at all, but it can be a valuable asset in helping us to make spontaneous decisions. In the investment world we use a wide range of ratios and metrics to evaluate whether an investment is overvalued, undervalued or fairly priced. Seasoned shoppers can be very good at determining whether the word “sale” really represents a meaningful reduction in price, or is an advertising come on. Whether we are wealthy or not, no one wants to overpay for anything we consume whether it be a car, a meal, a home or an article of clothing. In fact I am sure that you have heard your family or friends crow more about the price they paid for something rather than its value or its utility. That just seems to be the way we are wired, except for investments. When an investment goes on sale, in other words its price drops, our intuition tells us to run for the hills, just the opposite of what we do with most other situations. The reason is that we view an investment as a store of value, rather than an asset to be used and eventually discarded. So most people feel threatened when the price of an investment falls, and comfortable when its price rises. More times than not, this kind of thinking can be a recipe for mediocre returns. Due to the complex and sometimes opaque nature of investments, many people simply tune out. Instead of referring to one or two measures of value that can keep them from overpaying for an investment, they instead choose to invest in a story. If the story sounds intuitively compelling, or validates their view of the world they buy. Otherwise they may take a pass. From time to time some of our clients will suggest that we consider adding a certain stock to their portfolio. They rarely call when an otherwise good company has been hammered in the market, viewing it as an opportune time to pick up a bargain. Instead the companies they inquire about are ones that have either had a recent run-up in price, or have been touted as a Cinderella stock that has the potential to be the next Facebook. Stories about a company can be a wonderful way to become acquainted with a specific product or service. They are useful in helping to determine whether the philosophy of the company is shareholder friendly or is a proponent of environmental sustainability. A company’s story can also signal whether they are on the vanguard of changing societal mores, which may have a direct impact on a company’s bottom line, as well as its ability to attract top flight talent to work for shareholders. A story, however, is no substitute for analyzing whether a company’s price is excessive or not. Just because it has a good story that sounds sensible and compelling to you does not mean that it is being pitched at a fair price. The biggest problem with overpaying for any investment is that it robs you of future profits. Let’s take the example of your home. If houses in your neighborhood sell for, on average, $200,000 and you pay $400,000, what can you expect to happen? Unless there is something very special about your home, if you sell within 5 years you will likely lose your premium to other houses in your neighborhood. Assuming 3.5% annual appreciation, you would merely break even after 20 years. In an example closer to our own homes, the shares of Corning Glass (GLW) were selling for $109 at the top of the NASDAQ bubble 15 years ago. Today the stock trades at about $18 split adjusted, a loss of about 99%. If, however, you had purchased the stock close to the bottom at $2 per share, your profit would have been 1,600% by 2006 when the stock was trading at $28. To be fair, many stocks sell for below market multiples because they deserve to; they are terrible companies. So you cannot rely solely on price to pick tomorrow’s winners. What we can say confidently is that if you ignore price, the odds are certainly against you.